The Malpass Brothers | These guys don't just sound retro…they are retro! THE MALPASS BROTHERS – HEADING HOME is now available on DVD! Order your copy of this heart-warming documentary by Minnow Media that tells the story of The Malpass Brothers and their hometown of Goldsboro, NC. This is the full-length version of the film that was broadcast multiple times on North Carolina public television earlier in 2018. Order here for immediate delivery to enjoy the story & the music of the Malpass Brothers – and meet lots of family & friends who’ve been so important to us along the way! Thanks to each of you! Newest CD & DVD feature performances included in the documentary film THE MALPASS BROTHERS: HEADING HOME! We’re excited to share the news that our latest CD “Live at the Paramount Theatre” — PLUS a live performance DVD “Love They Neighbor” — are now available from our STORE page here on the website and at our upcoming live shows. Both recordings feature excerpts from our 2017 annual performance at the Paramount Theatre — our hometown stage since we were young boys. 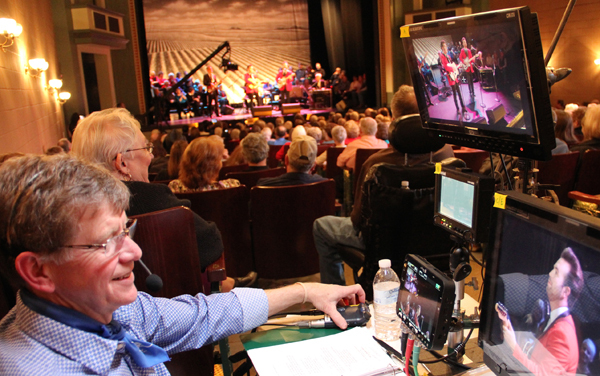 The concert was filmed for the public television documentary film “The Malpass Brothers: Heading Home” which will premiere in January 2018 at the Paramount! Click on the image of each item on the store page and you’ll see the full listing of song titles included on the CD and the DVD. Hope you’ll enjoy them! Photos by Chris Charles for Creative Silence, © 2016. PUBLIC TELEVISION DOCUMENTARY PREMIERED ON UNC-TV ON THUR., JUNE 7! The new documentary film THE MALPASS BROTHERS: HEADING HOME, telling the story of NC’s fast-rising country music artists from Goldsboro, NC enjoyed a rousing success in its premiere broadcast on Thursday, June 7 at 8pm on UNC-TV North Carolina Public Media. HEADING HOME premiered as part of a special evening on UNC-TV’s on-air fundraising campaign, Neighbor By Neighbor. In addition to the broadcast of the documentary, the evening also featured live performances by the Malpass Brothers in the studio. HEADING HOME is the story of how two talented young NC musicians are building a career in the tradition of music from a time before they were born. Christopher Malpass and his younger brother, Taylor, began playing and singing the songs of Hank Williams, Merle Haggard, Johnny Cash and the Louvin Brothers before they were even out of middle school. They have since toured for several years with the late Merle Haggard and have performed across the US and in Europe. 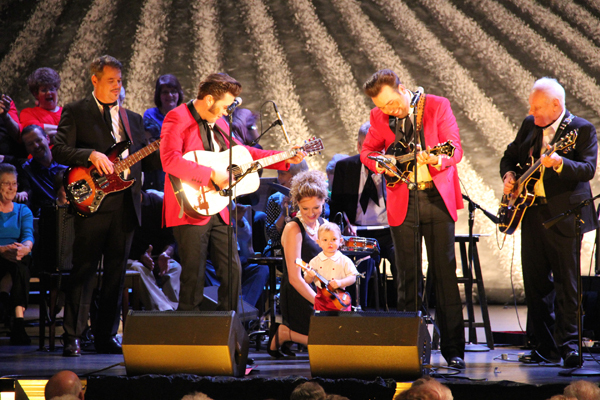 Their latest CD and live performance DVD was recorded at their hometown Paramount Theatre in Goldsboro, NC during production of this documentary. Even with an ever-growing schedule of concert appearances, both Christopher and Taylor hold on to their ‘day jobs’ with understanding employers back home and are active members of their local communities. Minnow Media producers Donna Campbell and Georgann Eubanks, who have produced Emmy Award-winning documentaries, followed the Malpass Brothers almost a year-and-a-half during the course of making this film. The band traveled more than 20,000 miles to 50 performances and began to consider moving to Nashville as a next step. The one-hour documentary takes a look at how the brothers struggled with that decision. It also reveals their family background and how their home town helped to shape them — including candid interviews with family, fans, employers, teachers, and even their hair dresser who ‘stays away’ from those sideburns! Taylor Malpass is endorsed by Gretsch Guitars.